The presence of all three is needed before a child would be thought to be dyslexic. Difficulties in phonics (the sounds that make up words) can be around finding it difficult to learn the sounds, mixing up sounds such as d and b, v, f and ph and/or blending sounds together such as sp and fl. These problems can make it hard for children to read, understand what they’re reading, spell and write well. Processing speed is to do with how quickly children process information and instructions (written or verbal). It’s the time between hearing an instruction and the brain responding to it. It’s absolutely not about intelligence. It’s not unusual to find very intelligent dyslexic children with processing speeds that are slower than non-dyslexic child of the same age. 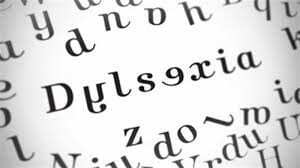 Difficulties keeping things in short-term memory and transferring them into long-term memory can be a part of dyslexia. Working memory is slightly different – this is about keeping one thing in your head whilst listening to or processing another. Dyslexic children typically find it difficult to keep a string of instructions in their head and find it easier if those instructions are given individually. If you need to write down telephone numbers in groups of 3 or 4 figures, you may have this difficulty too. Can my child have some of these difficulties? If your child has all three of these difficulties, it’s possible that your child could be dyslexic. If 1 or 2 of these issues are present, it’s likely that your child will find it harder to learn, but would not be felt to be dyslexic. How can I check this out? Tutor My Kids offers dyslexia screening which will allow you to quickly and cheaply see if dyslexia is a concern with your child.